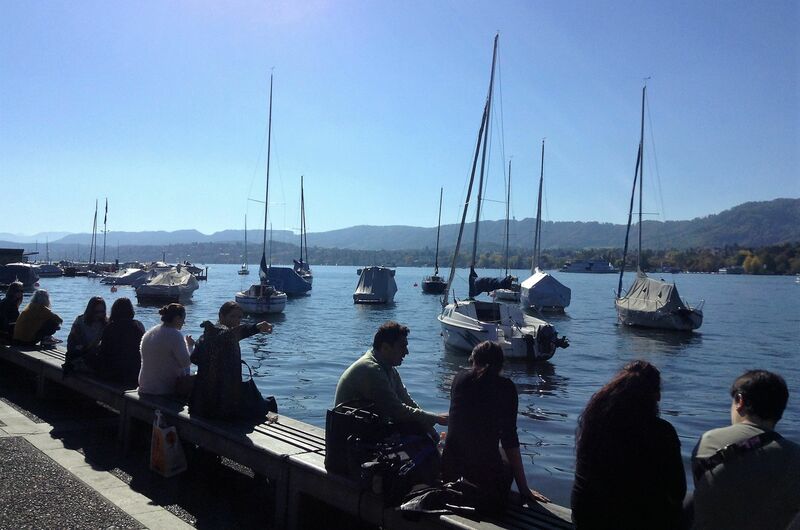 Although its name being Zurichsee, the lake extends southeast of Zürich. 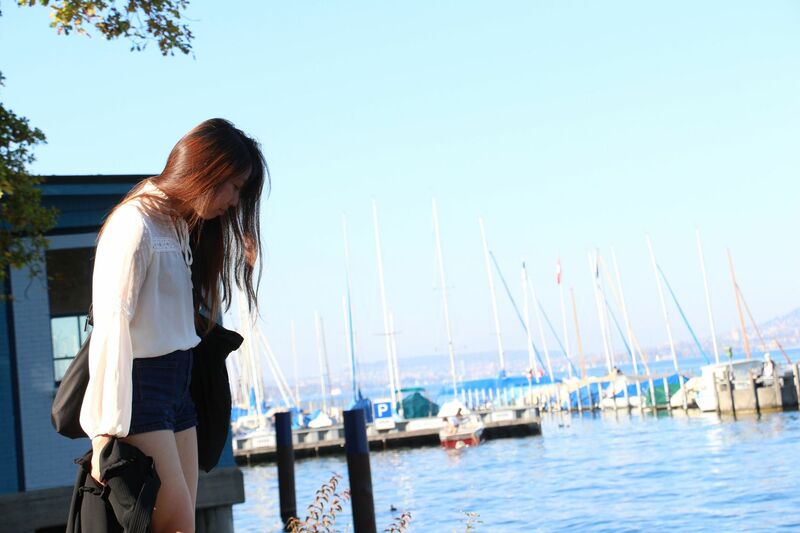 This is similar like the concept of Geneva Lake, which also get a name from the biggest city near the lake. 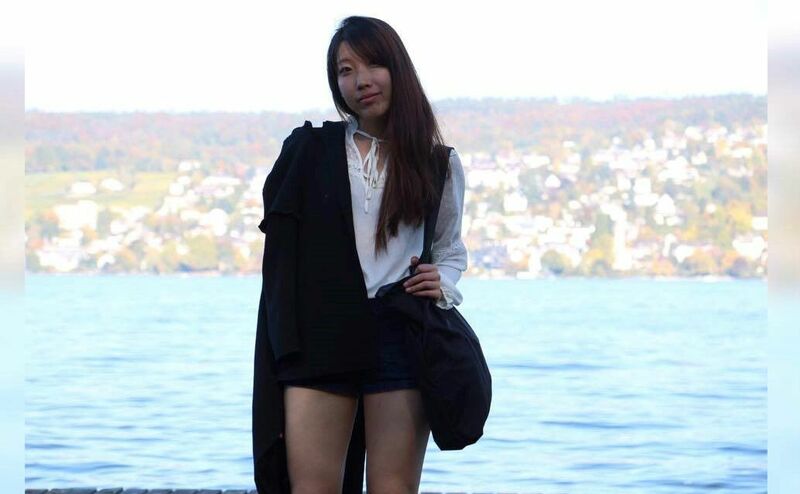 @liflorence lives in Thalwil, a lakeside town easily accessible from Zurich. 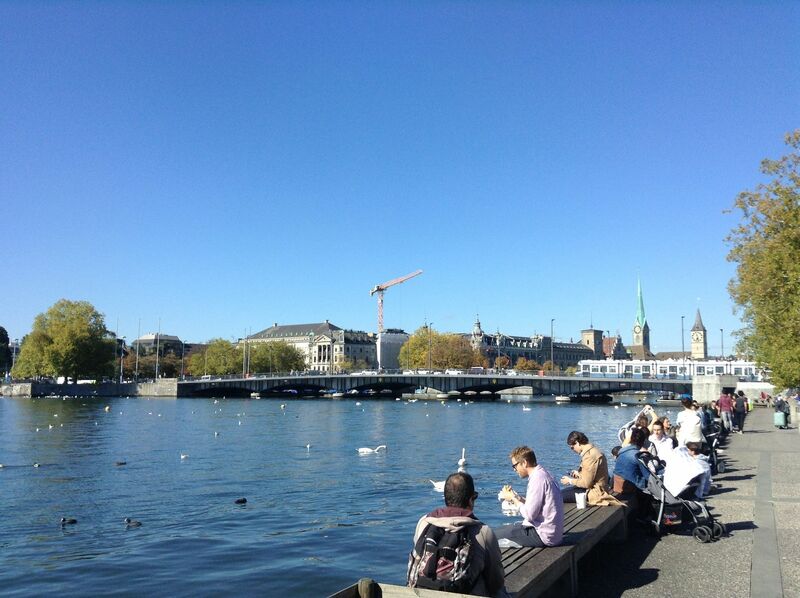 When I visited Zurich, it was great weather, 20 degrees for mid Octorber, quite unusual. 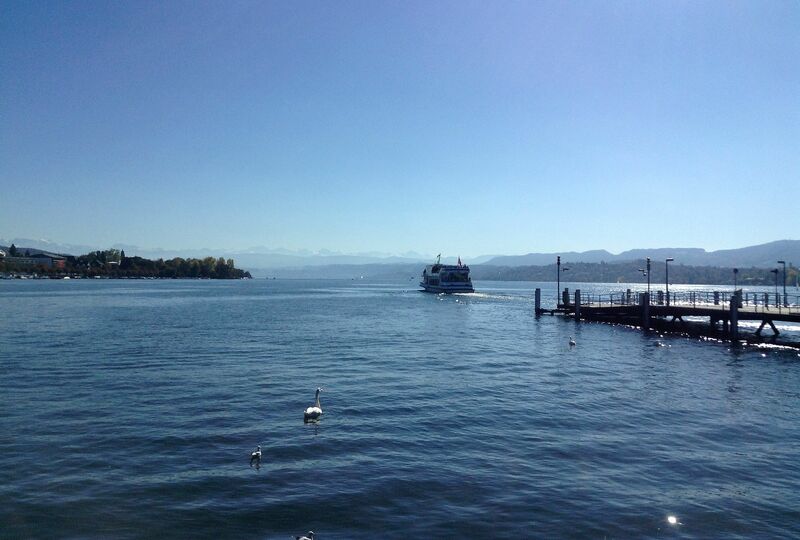 On a clear day like this, you could get a spectacular view of the icy mountains far away around the lake. 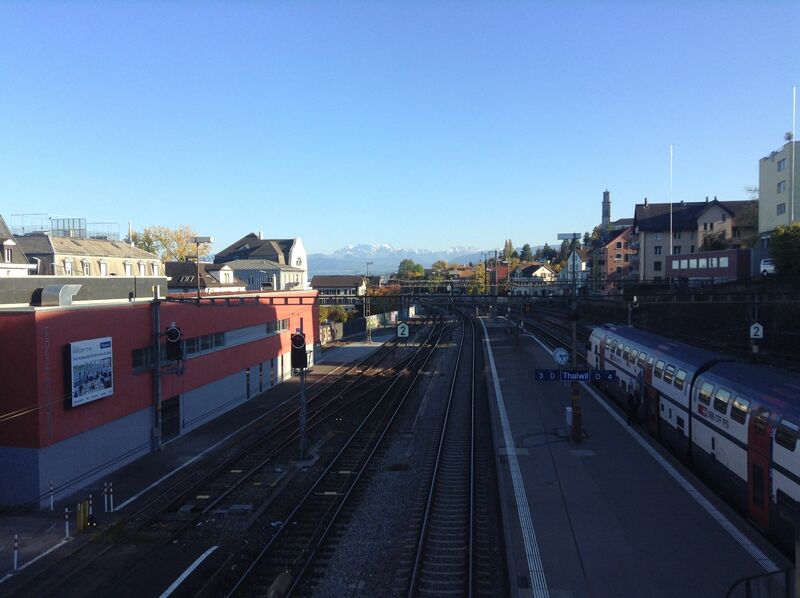 When later we took the train, we should even see the snowy mountain from Bern. If you get time, a boat ride on the lake can also be relaxing. 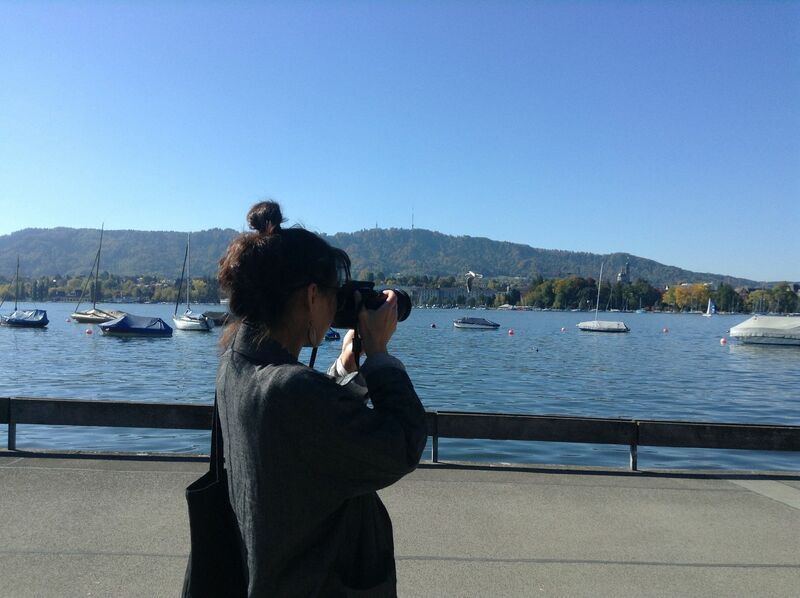 Or simply sit down in the bank of the lake, buy some bread to feed the swans. I remember this colorful merry-go-round near the lake and taking same picture here. Back then I thought it must be a part of the moving funfair or something. But apparently it’s been here forever. 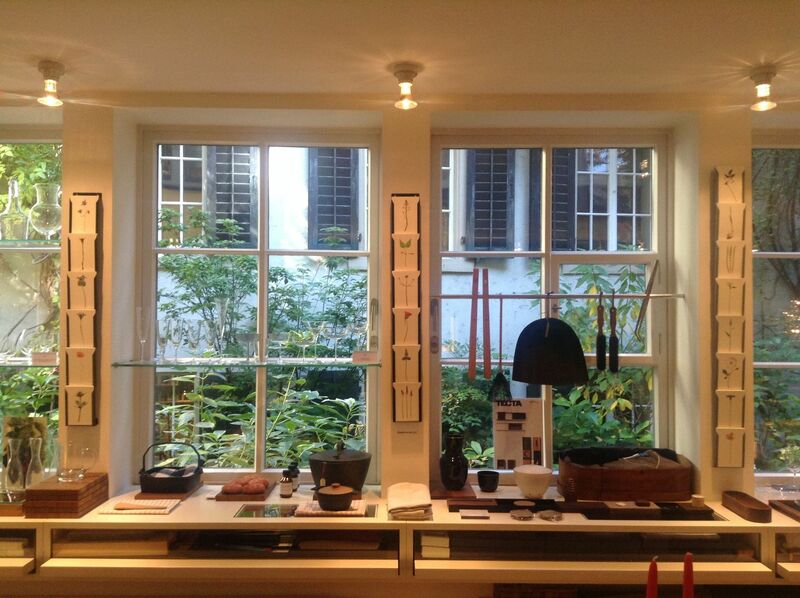 We had a great stroll through the cobblestone streets and the window shopping. There were many cafes, along with restaurants and stores. 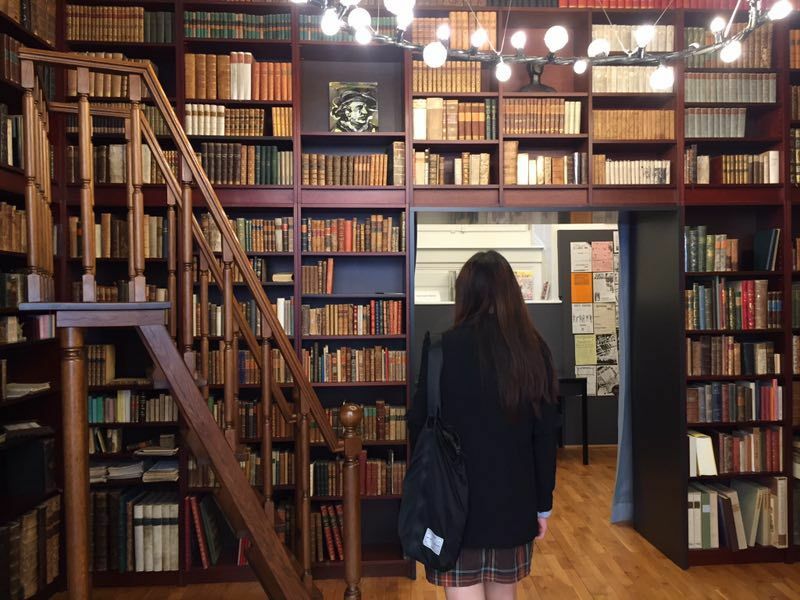 @liflorence took me to some nice shops she likes, including this beautiful bookshop, full of old English books. 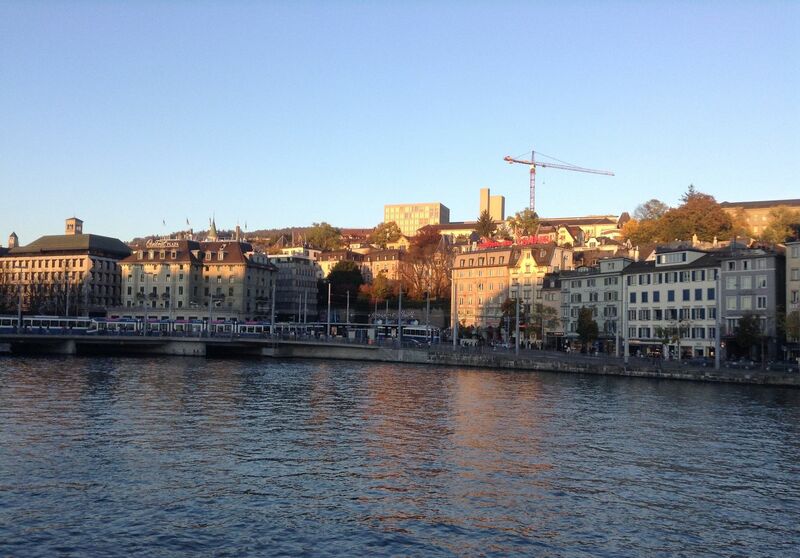 Many Swiss people choose to live along the lakeside. The area is certainly great to live, I saw many walking their dogs there. Other side of the lake is full of lake-view houses. 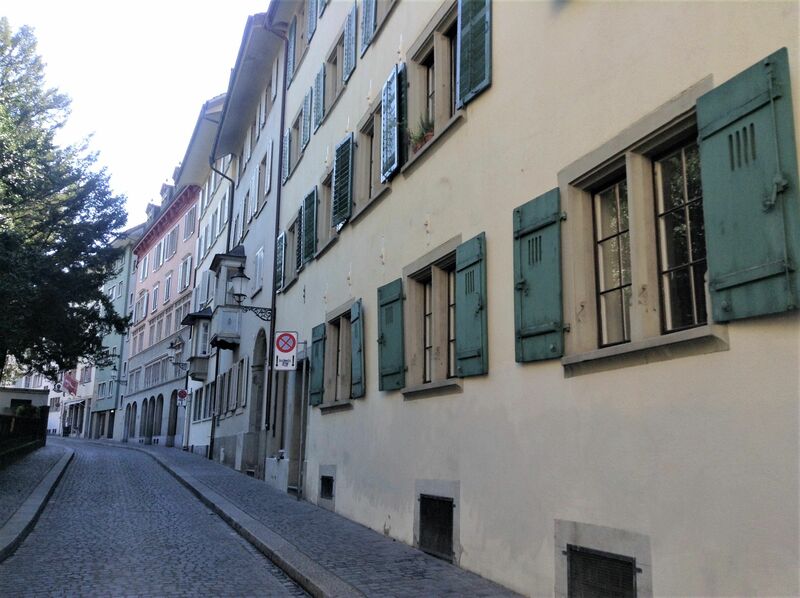 Tennis player Roger Federer has a house somewhere 30 minutes away from Thalwil, on another side of the lake. 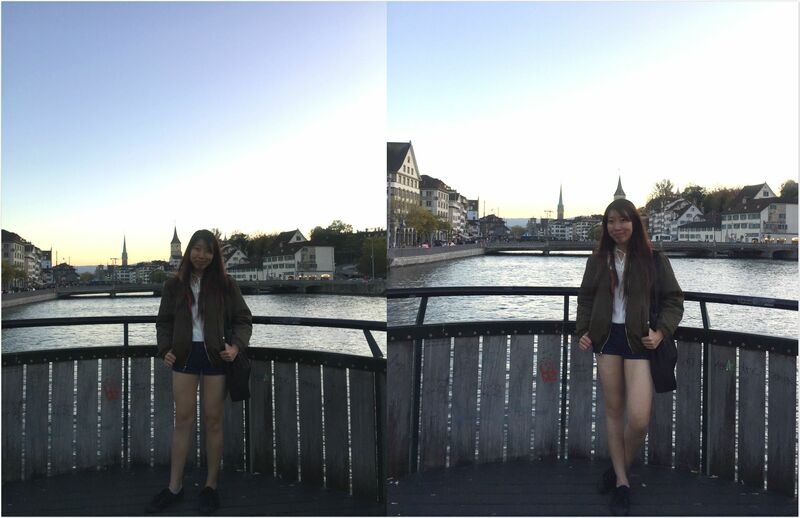 Just on time to catch a glimpse of the sunset on the Zurich canal. On the east side of the canal there were gritty bars and clubs, while the west side, more classic stores. It was great to take a walk here during the sunset. You can feed seagulls on the bridges. Seems fun, but I think you should avoiding sandwiches there, they would think it’s for them too. Big shoutout to @liflorence for showing me this lovely city. 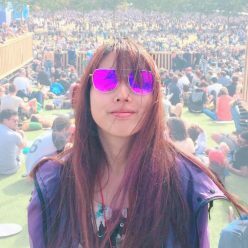 Thanks Steemit friends for reading. 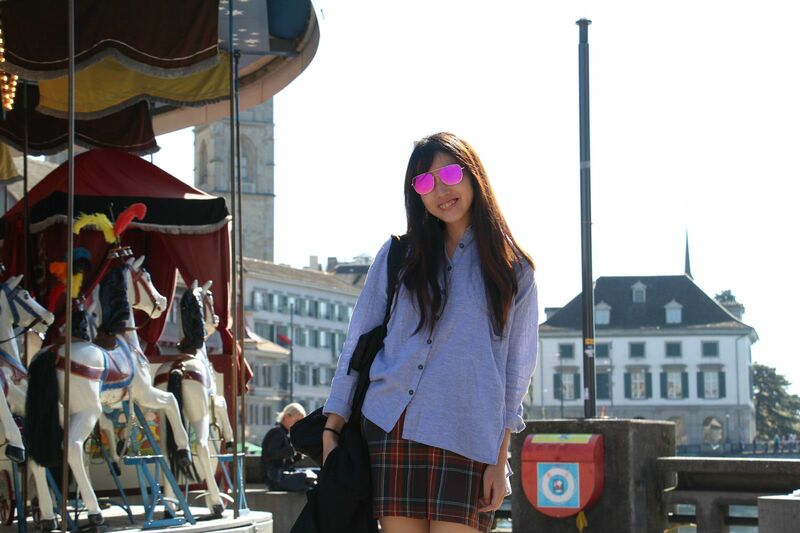 Joy’s Swiss trip, to be continued.